The first of May is a celebration in many countries. In the small Colorado town I grew up in, the event called for anonymously leaving a basket of flowers of the neighbor’s porch. This newsletter is dedicated to celebrating amateurs and their many activities with the horn worldwide. You will find a bouquet of information for everyone! Read about the 40th anniversary celebration of the Association Français du Cor by Matthew Arnaud and learn how this group promotes the art, craft and fun of horn playing. Dance into May (Tanz in den Mai) with the article on the Rainbow Orchestra of Cologne, by Sherry Wegner. The opening week of May is sometimes referred to as ‘Golden Week’ in Japan, due to the many holidays that fall during this time. 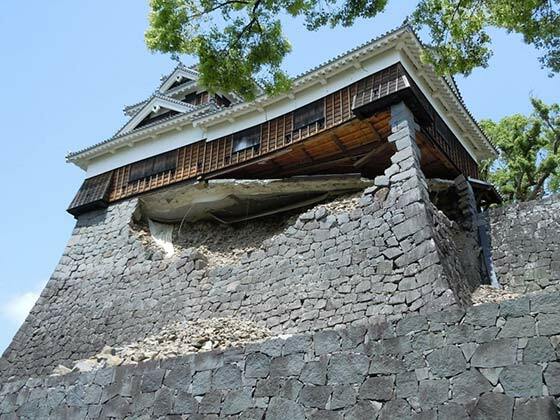 Nobuaki Fukukawa introduces us to an amateur ensemble, the Kumamoto Horn Ensemble, from the region of Japan most recently devastated by earthquakes. 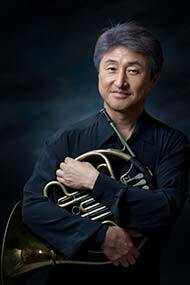 Koreans have the day off for Labor Day on May 1, and Young-Yul Kim has brought us helpful tips on pedagogy of the horn. I hope to see everyone in Ithaca on June 13th for the 48th International Horn Symposium- keep in mind that the deadline for registration and housing is May 18th! This will be yet another week of fantastic performances and presentations. Our 48th Symposium is in ITHACA, NY! You want to be there June 13-18! Register before May 18 and bask in the beauty of Ithaca, NY and THE HORN! "Long enough to know better . . ."
That's my usual quip when folks ask how long I've played the horn, because it wasn’t my original instrument of choice. I’d been a trumpet player, like both my parents and my grandfather, for 6 years when a horn was thrust upon me at the end of 7th grade. From that very moment I knew the horn would be in my life forever. As if winning an audition to play with the All-Northwest Band in Portland, Oregon - and hearing that Tchaikovsky from the All-Northwest Orchestra – wasn’t already exciting enough for a high school kid from Butte, Montana,there were more thrills to come that year. 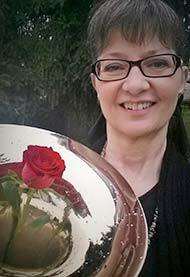 I’d also won a scholarship to the 4th International Horn Society Workshop in Bloomington, Indiana. And in June, I found myself surrounded for a week by 400 horn players from around the world. I was completely awestruck by the performances and coaching by legendary hornists. Memories of hearing Konzertstück for the first time played by the Chicago Symphony horns and our massed horn choir playing Hansel and Gretel still give me chills to this day. I joined IHS on the spot. It was as if fate wanted to make sure the horn would always be a part of me. 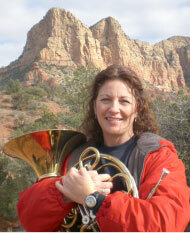 From then on, 44 years ago, my passion for the horn grew stronger with every twist and turn life brought me. I played, and soloed, with the Butte Symphony, where Mom, Dad, and I comprised over half the brass section. I owe my musical genes and a debt of gratitude for unwavering support to my parents and family. 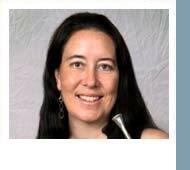 And I owe my initial musical foundation to five years of lessons with band director Ardith Palmerlee, a trumpet player herself. During high school, Mom drove me long distances to my first horn lessons with Terry Reynolds in Bozeman, who established my solid groundwork for horn playing. Later, I studied for a summer with Nancy Cochran Block, the horn professor at U of M in Missoula. Soufflons ensemble les 40 bougies de l'AFC ! AULNAY a rassemblé début février de nombreux cornistes, internationaux (tels Marie-Luise Neunecker, Kristina Mascher et Kerry Turner, Bruno Schneider) et français (impossible de célébrer ici nommément chacun des merveilleux contributeurs invités par Daniel Catalanotti, ex président AFC) sur une scène éclectique et festive mêlant cor moderne, cor naturel, trompes de chasse, cor des Alpes, conques marines, jazz… Un hommage particulier fut rendu aux femmes cornistes, le tout culminant dans un superbe concert de près de 4 heures. PARIS fin mars a réuni avec succès de très nombreux passionnés pour ses « Rencontres du Cor » autour de deux objectifs novateurs : en premier lieu, développer les relations entre les classes de cor de province et de Paris. Par exemple, elles offrirent à des étudiants de tous horizons l’opportunité de participer à des classes de maîtres avec Benoît de Barsony (cor solo Orchestre de Paris, président de l’AFC), Vladimir Dubois (cor solo Opéra de Paris), Hervé Joulain (cor solo Orchestre Philharmonique de Radio France) et André Cazalet (cor solo Orchestre de Paris, professeur au Conservatoire de Paris). Ou encore d’assister à une conférence passionnante de Michel Garcin-Marrou (membre honoraire de l‘IHS, cor solo Orchestre de Paris, professeur aux Conservatoires de Lyon et Paris) sur le Larghetto d’Emmanuel Chabrier, etc. Ces rencontres ont ensuite permis pour la première fois en France de constituer un grand ensemble de plus de 20 cornistes issus des pupitres des meilleures orchestres parisiens - rejoints par les étudiants pour le concert final. SALLAUMINES (qui jouxte la ville de LENS dans l’ancien bassin minier du nord de la France) proposera fin mai à l’initiative de Vincent Huart - précédent président AFC - des concerts de quatuors et grands ensembles de cors, de cor des Alpes, des classes de maîtres originales, le tout dans une atmosphère chaleureuse propre à cette région. Ce festival offrira aussi une séance de dédicace avec un compositeur et interprète, un concours pour les jeunes cornistes (niveau 3ème cycle), des expositions ainsi que des présentations éducatives pour les écoles autour de notre instrument. AVIGNON célébrera aussi fin juin son 20ème Festival du Cor organisé par Eric Sombret, depuis le mémorable Symposium IHS qui eut lieu en 1982 dans le cadre du Palais des Papes. Au travers de nombreux concerts et spectacles de solistes et d’ensembles de cors, des cornistes de premier plan, étudiants, amateurs du sud de la France et d'Europe feront retentir notre instrument dans le cœur de cette ville historique. As an amateur musician, I often play my horn for fun and have many unique opportunities to play with a variety of groups. I have been living in Bonn, Germany for 8 years and have had many opportunities to travel with a few different orchestras to places like China, France, Ireland, Austria and Germany. I would like to talk to you about my experiences playing with the Rainbow Symphony of Cologne in Cologne Germany. I was asked to play with the RSC because they needed a few more horns, and a friend of mine asked if I would be interested. I said..."I'm not gay." She said that they are also a gay friendly orchestra, so if you support the gay community in any way, you should play. I have many friends in America that are gay and have always felt very comfortable around them - so I figured why not. The RSC has about 35 members. They play just a few times a year in which they get together and have a rehearsal weekend and play a concert. We have members from all over Europe. Our percussionist brings her own timpani all the way from Basel, Switzerland. The Harp player comes from Paris, and we have a few string players from other parts of Germany as well. 본인도 유학시절 레이놀즈 선생님께 같은 지적을 받았으며 심지어 느린 스케일을 왼손가락을 키에 테이프로 고정시켜 안정될 때까지 연습을 하여 몸의 경직완화와 편안한 호흡까지도 얻게 되었던 경험이 있었다. .호른의 가장 멋진 매력은 아름다운 소리라고 생각한다. 일반적으로 많은 학생들은 자기 귀에 들리는 본인의 거친 소리보다는 오른손으로 막아 부드러워진 소리를 듣기 원한다. 그것은 마치 청중이 호른소리가 무대 벽과 또 연주회장 벽 및 바닥에 반사되고 흡수되어 부드러워진 소리를 듣듯이 본인의 소리를 일찍 부드럽게 만들어 연주한다는 것이다. 본인의 연주소리가 본인 귀에 거칠게 들릴 때 청중들은 좋은 부드러운 소리로 들릴 것 이며 본인 귀에 부드럽게 들릴 때 청중은 이미 답답한 소리를 듣고 있을 것 이다. 메트로놈과 녹음기는 음악가들에게 가장 좋은 선생님이라 생각한다. 학창시절 내가 새로운 곡을 연습하며 해결 못하는 어려움에 처했을 때 메트로놈으로 느리게 연습해 어려웠던 곡도 이해하고 또 성공적인 연주를 했던 기억이 있다. 우리는 가끔 선배 음악가들이 즐겨 사용했던 메트로놈과 같은 유용한 도구의 사용을 잊곤 한다. 그와 마찬가지로 연주 전에 녹음을 해서 들어보면 음정이 불안한 곳 또 템포가 흔들리는 부분들을 알게 되고 그런 부분들을 시정하여 더 좋은 연주를 할 수 있게 된다. 한번은 이스트만 음악학교의 얀치치 교수께 렛슨을 받던 중 선생님께서 “영률 이 렛슨비로 녹음기를 사서 녹음을 듣고 연습하면 일년 내내 좋은 렛슨을 받을 수 있을거야”라고 하신 말씀이 생각난다. HAPC started about 15 years ago. Before that, we just had some horn players showing up to play Christmas music for 5 years. We started in downtown Appleton at a shopping mall with a three-story open area. The first few years, we had maybe 8-12 horn players perform and were supplemented by the Lawrence Conservatory horn studio (with James De Corsey.) He provided master classes for a few of my students, and then Bruce Atwell from the UW-Oshkosh horn faculty joined us for more classes. Bruce and I discussed making our own book, so he did that - we performed out of it for a couple years. The second time we were in Milwaukee, I asked Cynthia Carr to come and do a master class. She said that since we had no Jewish music, she wanted to redo the book and add some additional selections. Our first out-of-the-area guest was Jeff Nelsen. A couple years later, Geof Winter came to town with more performances and classes for my studio. He also arranged a version of the Cherry Tree Carol that is a favorite with our horn players. A major revelation happened in the early 2000’s. I had contributed a personal check to a graduating senior horn student from the Fox Valley Youth Orchestra when the board invited me to come to a meeting to discuss something. The Youth Orchestra board said I could no longer make a contribution to a graduating horn senior: I could continue the fund, but they would decide which graduating musician would get the scholarship. I thought that since the entire horn section came from my horn studio, I could decide who would receive the money. That year (about 15 years ago) I decided to change how things were happening…thus Hornsaplentychristmas was born. We also did some HAPC events in the afternoon at the downtown mall, and then we all went over to the new Performing Arts Center to perform on the huge balcony for the audience waiting to watch the Nutcracker. I had done a little research about Guinness records and did not find any about horns, so in 2007 we had 85 horns plus myself to set a Guinness record.